Here is the 2016 Florida Panthers Qualifying Tournament in its entirety. For the second straight year, the 2nd-seeded ’99-’00 Florida Panthers have beaten the 5th-seeded ’93-’94 Florida Panthers in the qualifier final. It will be their second straight appearance in the Ultimate NHL Playoff. The ’99-’00 Panthers started out real strong with five goals in the first period of Game 1. The ’93-’94 Panthers made it a game later, but the ’99-’00 Panthers held on for a 6-4 win. Defenseman Jaroslav Spacek led the way offensively with two goals and an assist while four others recorded multi-point nights. The ’99-’00 Panthers then took Game 2 by a score of 6-1. Pavel Bure had his second consecutive multi-point game as he scored twice and added an assist. Both Ray Whitney and Scott Mellanby also pitched in for a goal and an assist each. The ’93-’94 Panthers got on the board in the series with a 4-1 win in Game 3. Goaltender John Vanbiesbrouck stopped 38 of 39 shots against in the win while Bob Kudelski led the way offensively with a pair of goals. The ’99-’00 Panthers responded with a 5-4 win in Game 4 as it was Viktor Kozlov‘s turn to lead the way offensively with a goal and two assists. 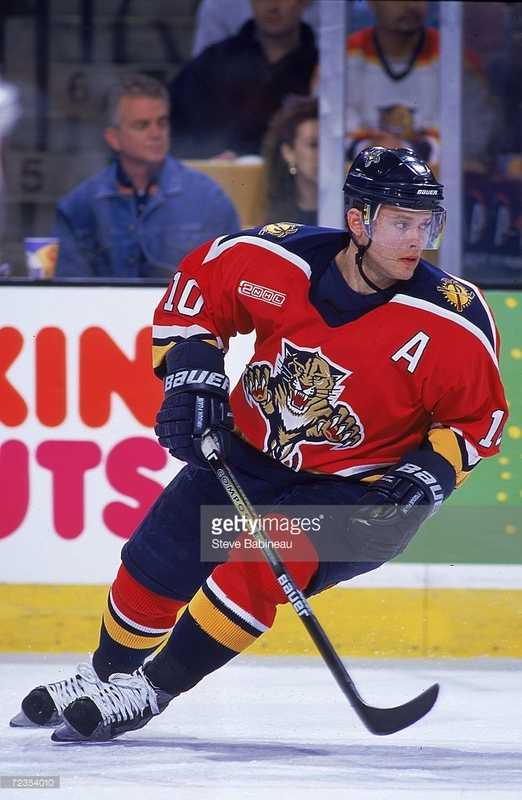 However, it was his fellow Russian, the Russian Rocket, who scored the only two goals for the ’99-’00 Panthers in a 2-1 Game 5 win that sealed the series and a berth in the UNP. Up next is the 2016 Ottawa Senators (Modern) Qualifying Tournament! This entry was posted in Qualifying Tournament, Ultimate NHL Playoff and tagged Bob Kudelski, Florida Panthers, Jaroslav Spacek, John Vanbiesbrouck, Mark Fitzpatrick, Mike Sillinger, Mike Vernon, Pavel Bure, Qualifying Tournament, Ray Whitney, Scott Mellanby, Ultimate NHL Playoff, Viktor Kozlov. Bookmark the permalink.